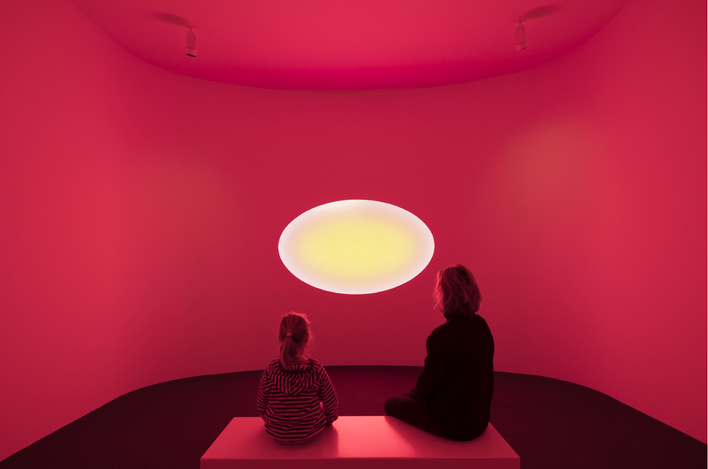 With the opening of James Turrell's "My Light" ("Healing Light") for the public the Children's Hospital wants to let the perception of a broader audience be part of the work. That is why external visitors are allowed to visit the light installation at certain times. In 2018 during half a year the pavillon received about 600 visitors. It was open every Sunday as an anniversary gift of the Eleonorenstiftung for the public. In 2019 "My Light" will be opened in the darker months from January until April and from September until December on every first Sunday of the month. König Büro oversees the pavilion with guided tours and on Sundays with supervision. Other arrangements are possible on request. 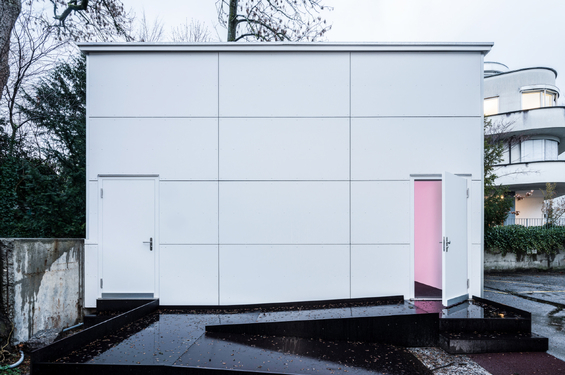 Guided tour 2.15 p.m. – 2.45 p.m.
Once a week the pavilion "My Light" can be booked for a tour, workshop or event. Groups of maximum 15 people. Installation view "My Light". 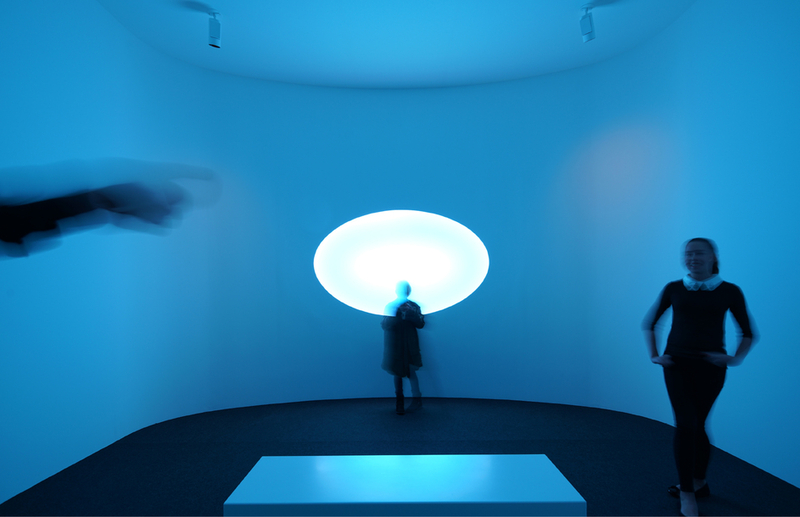 James Turrell "Curved Elliptical Glass: Healing Light", 2017. Installation with computer-operated LED, loop 150 min, 380 x 515 x 535 cm. Courtesy: Universitäts-Kinderspital Zürich – Eleonorenstiftung. Photo: Florian Holzherr. Outside view "My Light". 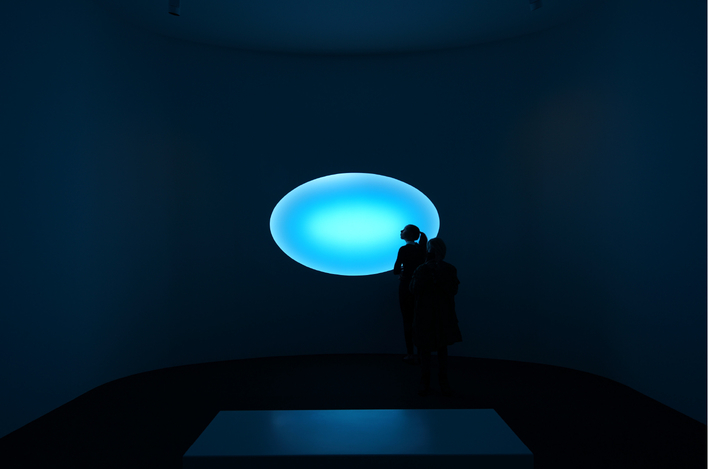 James Turrell "Curved Elliptical Glass: Healing Light", 2017. Installation with computer-operated LED, loop 150 min, 380 x 515 x 535 cm. Courtesy: Universitäts-Kinderspital Zürich – Eleonorenstiftung. Photo: Florian Holzherr. Installation views "My Light". 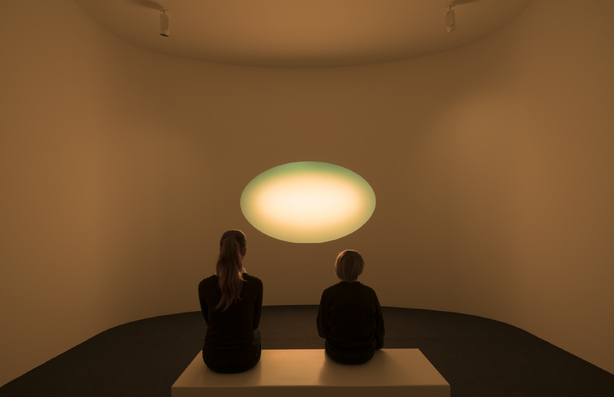 James Turrell "Curved Elliptical Glass: Healing Light", 2017. Installation with computer-operated LED, loop 150 min, 380 x 515 x 535 cm. Courtesy: Universitäts-Kinderspital Zürich – Eleonorenstiftung. Photo: Florian Holzherr.